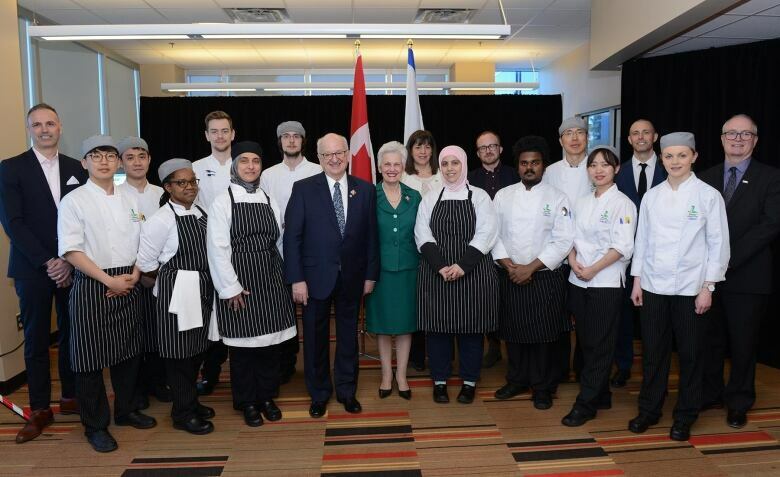 Of the 136 students enrolled in the Nova Scotia Community College's culinary arts program last fall, about 50 per cent identified as being international, black Canadian or Indigenous. Of the 136 students enrolled in the program last fall, 66 identified as being international, black Canadian or Indigenous. "With the diversity, it made me feel much more comfortable in the program," said Simpson, a first-year student from Jamaica who is enrolled in the two-year program. "Yes, there's a lot of international students, so it wasn't just coming into Canada and just being faced with Canadians, we have the Asians and everyone." 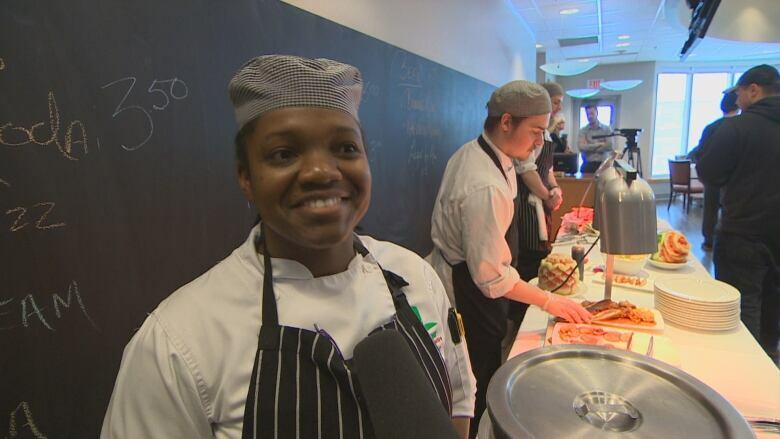 After graduation, Simpson hopes to settle in Canada and open her own Jamaican restaurant featuring vegetarian cuisine. 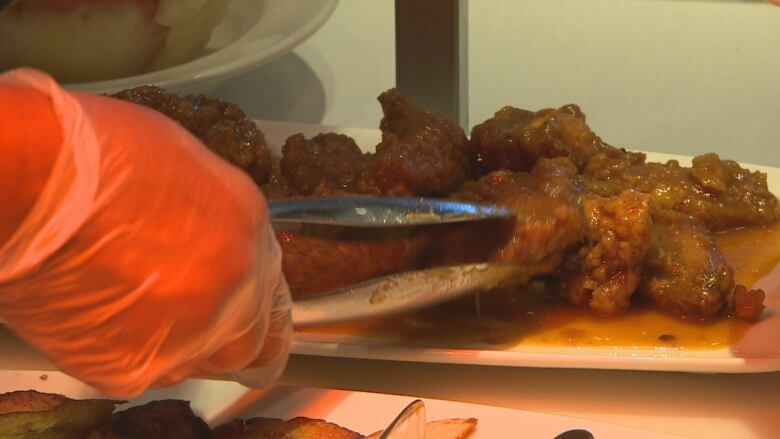 At the Fresh Twenty One Restaurant on campus on Wednesday, where students put into practice what they learn, a buffet of different foods that included Jamaican red bean soup, spicy Caribbean wings, pasta, Parmesan chicken, rice and salad, flatbread, mini burgers and dessert, was served up. Many of the ingredients students use come straight from the garden located outside of the dining room. They also use locally sourced and Canadian products whenever possible. Mengxin Liao is a first-year student from China. He heard about the program from a friend in Ottawa. 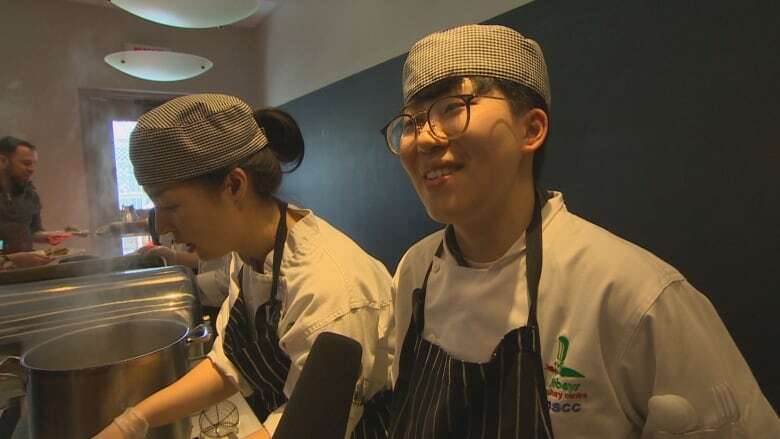 He said his experience here is much more colourful because students from different countries bring their cultures and cuisines into the classroom. "I think the best part is learning something new," he said. "We do not only make local food or make the traditional Canadian food ... we also make Indian food, or Italian food or Korean food or Chinese food." After graduation, he plans to continue his studies in Ottawa. Andrew Stevens is the academic chair for the school of business, which the culinary arts program falls under. He said a culturally-diverse classroom enhances the experience of faculty, students and staff. "First of all as a culinary program, in terms of the recipes and the culture the students are able to bring to the classroom, to the curriculum, and also in terms of social norms and culture around education and learning," he said. 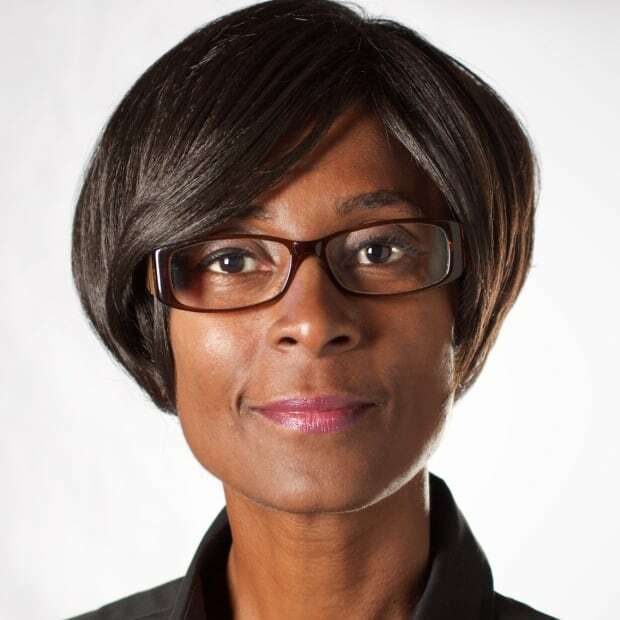 "So, there's definitely an enrichment in the environment in the way that students are engaging in the learning process that we see that a greater diversity in the classroom is really increasing the quality of everybody's educational experience."